With the opening of a representative office in Seoul (Republic of Korea), TecAlliance is forging ahead with the internationalisation of the company. 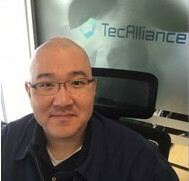 Since March 2017, Seung-Joon Park has looked after the Korean market as the Regional Director for TecAlliance. Four parts manufacturers have already been acquired as TecAlliance data providers for the TecDoc Catalogue; there is also one customer for car parc data (VIO). Furthermore, the largest number of users of the TecDoc Web (formerly: TecDoc WEB CATALOG) solution in the Asia/Pacific region can be found in Korea. “South Korea is very important for TecAlliance: the country is ranked 5th in the world in production units in the automotive industry. It is home to Hyundai and Kia, which together are ranked 4th in the world in vehicle sales. Also, a two-digit growth in vehicle imports has been recorded for almost ten years. In addition, nine of the TecAlliance shareholders have subsidiaries in Korea,” says Seung-Joon Park, explaining the significance of the market for TecAlliance. “The opening of the representative office was a first step in the further development of the market, but we are planning a continuous expansion of our business activities in South Korea. In the future, we will offer the entire TecAlliance product portfolio here – adapted to the characteristics and requirements of the market. We want to further optimise the quality of the car parc data in the region, especially Korea, Japan, Taiwan etc. The standardisation of the repair and maintenance data for Hyundai and Kia vehicles is an important issue, into which we are putting a lot of work,” is how Park sums up TecAlliance’s plans for the future in the region.